For such a small island, there are lots of reasons to love Key West. From world-class cuisine to bustling nightlife, there’s a reason Key West draws so many LGBTQ travelers. While snow blankets the streets and temperatures plummet, pack your swimsuit for aquatic adventure in Key West’s waters. As the southern most city in the continental United States, it’s no surprise the tropical climate makes visitors feel like they’re deep in the Caribbean. While not necessarily known most for its beaches, the ample coastline offers a variety of options for those looking to sunbathe, swim or just stick their toes in the sand. While some of Key West’s most breathtaking beaches can be found at Dry Tortugas National Park or Bahia Honda State Park, they’re a bit of a trek if you’re staying on the island. Fear not, though, because there are several great beach options easily accessible. If you’re flying into Key West, the first beach you’ll likely come across is also the island’s most well known. Smathers Beach is a two-mile stretch of coastline close to the airport. 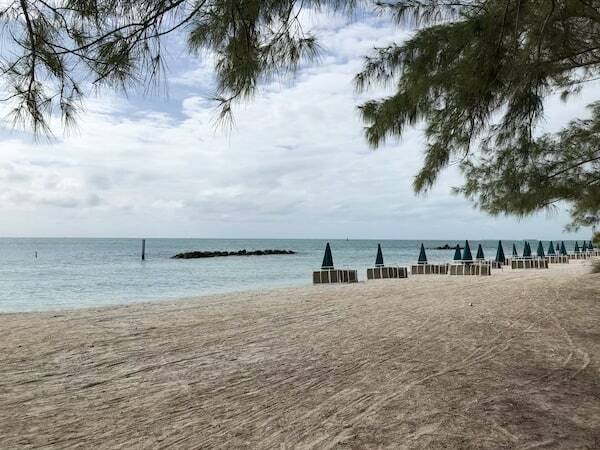 The soft, sandy beach isn’t typical of Key West, where many waterfront areas are rocky or comprised of shell and coral fragments. Instead, the soft sands are said to be imported and regularly replenished from the Caribbean. The beach is free and open to the public, but you might want to bring some cash to rent a lounge chair, grab some food or, if you’re driving, pay for parking. Sunshine and soft sands at Higgs Beach. 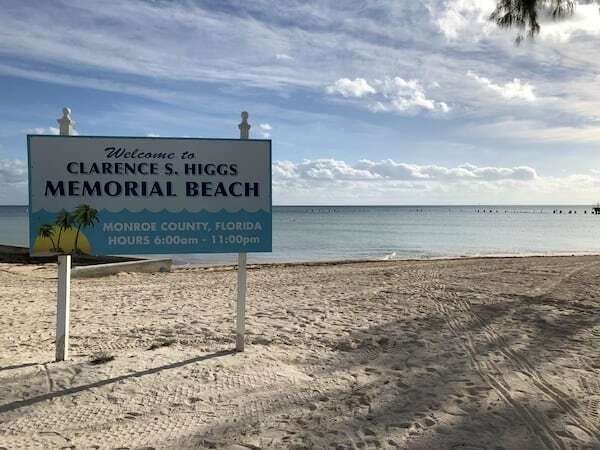 Not far from Smathers, another top-notch Key West beach, Higgs, also features the same sort of imported soft sands. Higgs has a playground and dog park nearby, and, giving it a slight advantage over Smathers, free parking. Once you get your fill of sun and sand, you could also visit the nearby gardens at West Martello Tower or connect with nature at the Key West Wildlife Center, where rescued animals are rehabilitated before being released back into the wild. Close to Higgs is C.B. Harvey Rest Beach. The tiny area is nestled between Higgs and Smathers, and its most noteworthy attraction is the beautiful White Street Pier. 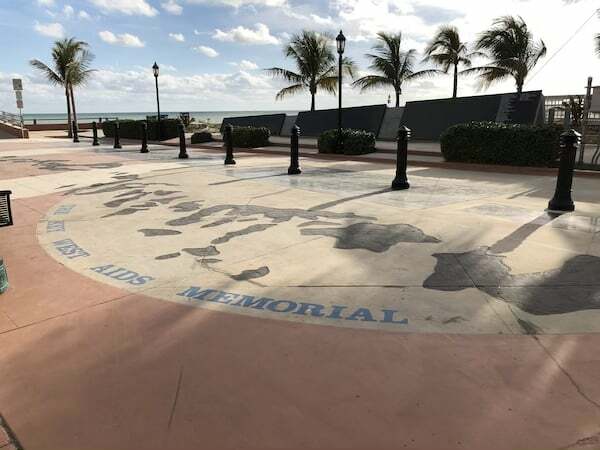 At the foot of the pier is the Key West AIDS Memorial, a gorgeous tribute made of Zimbabwe granite featuring the names of people who died of AIDS and poems from Alfred Tennyson, Rachel Hadas and Kahlil Gribran. Fetch Fido and head to Dog Beach. For those traveling with their own furry friends, there’s a beach for you, as well. 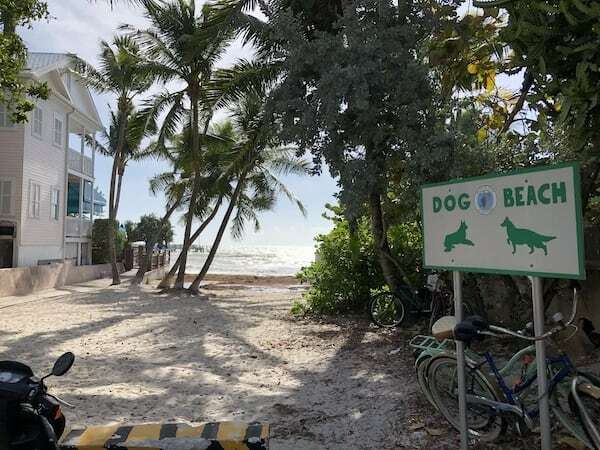 True to its name, Dog Beach is the only beach in Key West that allows dogs off-leash. Not really the place for folks looking to spend a day catching up on beach reads, this small slip may be rocky, but your pooch won’t mind. Once you’ve treated them to all the splashing and fetching they can stand, treat yourself to a meal at the always fantastic neighboring restaurant, Louie’s Backyard. Pups are welcome for lunch, and, if it’s not too busy, at dinner service as well. Another lesser known, smaller beach worth checking out is Simonton Beach, at the edge of Simonton Street. It’s a tiny swath of sand and a boat launch, but it’s enough to scratch that seaside itch, especially if you’re staying near Mallory Square. It has close proximity to the best site for sunset watching, where you’re just one mojito away from enjoying a perfect evening of street performances and a spectacular view. Gorgeous waters and rocky beaches await at Fort Zach. Of course, if you ask the locals their favorite beach, overwhelmingly you’ll hear about Fort Zachary Taylor State Park. Named for the Civil War fort in the park, this natural beach with mild currents boasts beautiful waters, but sensitive soles beware. The natural beach is particularly tough on your tootsies (we had an admittedly cheap pair of sandals get absolutely shredded walking along the beach). The fort itself is also worth taking a spin around. There are guided tours every day at 11 a.m., but it’s also easy enough to navigate with the educational signage. Plus, climbing atop the fort gives you access to stunning views. One of the many interactive exhibits at the Eco-Discovery Center. While in the neighborhood, take a stroll around the newly developed Truman Waterfront. In addition to a lovely waterside amphitheater, the new Florida Keys Eco-Discovery Center is a great little spot to take a break (and enjoy the air conditioning). There are lots of interactive exhibits, but be sure to check out the mock-up of the world’s only underwater ocean laboratory, Aquarius. 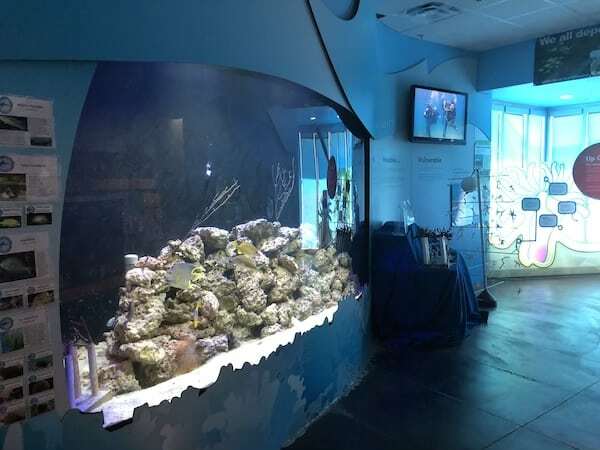 Once your appetite for aquatic education has been whet, make your way to the Key West Aquarium. It’s the perfect size to not overwhelm visitors with packed agendas, but still offers plenty of delight. Check out the schedule for the hourly programming that includes opportunities to learn more about lionfish, get to know the rescued sea turtles or feed sharks and stingrays. Beyond lounging and learning, there’s lots of adventure to be found on the water in Key West. Gay travelers have long extolled the incomparable experience aboard the Blu Q, a gay-owned and operated boat that takes travelers out on all-male, clothing-optional sails, snorkeling trips and paddleboarding. 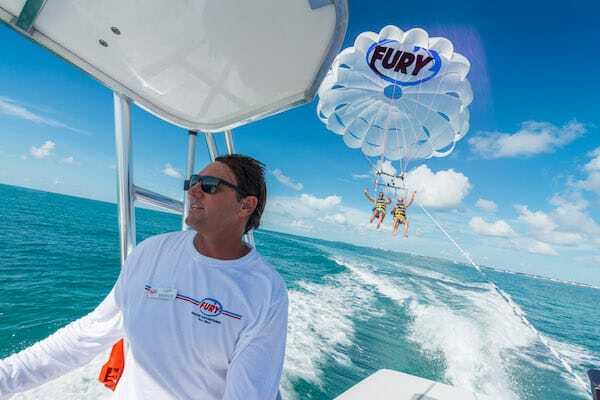 Thrill seekers should also make a reservation with Fury, which offers a variety of parasailing, jet skiing, eco tours, glass bottom boats and more. A great way to enjoy a range of activities without eating up too much of your precious vacation time is the Ultimate Express trip, which includes light breakfast and snacks, a jet ski tour, parasailing, banana boat ride, a floating water park and drinks all within 3.5 hours. Just don’t forget your sunscreen.